“I am so delighted to be able to view my pictures on my laptop rather than having to rig up a projector and screen. SFS did a great job in scanning and enhancing the originals and were a pleasure to work with”. 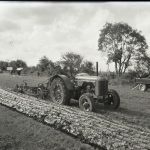 A Somerset museum asked us to scan their priceless collection of glass negatives depicting local farming and social scenes from the last century. These fragile negatives needed careful handling as the glass would break if not processed correctly and we managed to complete the conversion to high quality JPEG files at 600dpi resolution. 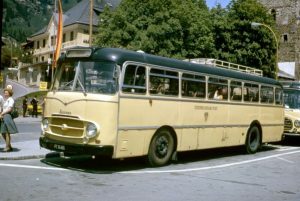 The Museum uploaded the images we created to their website for universal access and set up a slideshow to display them to Museum visitors. The project was completed without us breaking a single slide and the Museum expressed their thanks to us for a ‘job well done’. 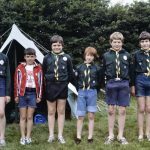 A lady Scout Leader found photographs of her ‘pack’ from the 1960’s in the loft and decided to get them converted to digital images for their historical interest. We collected the photographs from her, scanned them at 300dpi resolution as both PDF and JPEG files and returned the digital files and originals back to her. The images were used at a Scout reunion where they brought back many happy memories. SFS said “We can scan any photograph of any size in colour or black & white and output them as TIF, PDF or JPEG files. We found this a fascinating project which captured a happy and carefree period for this Scout group”. 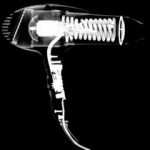 We scan (and store!) large volumes of X-rays for our engineering clients. These show such things as metal fatigue within metal or composite engine parts and are often vital records required by regulatory authorities. 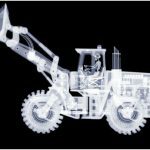 Due to the commercial sensitivity of our client’s records we can only use ‘stock’ examples below but if you need this sort of service to either scan or securely store X-rays we have a great deal of expertise in handling such a project in a prompt and cost effective manner.